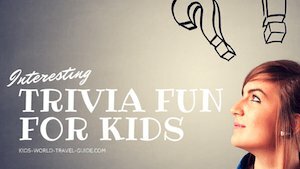 Here are our easy to read Qatar Facts for Kids which were researched by kids and edited by us. 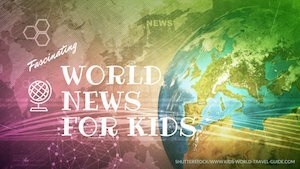 We have been reading a lot in the news about Qatar lately and of course, the Soccer Worldcup which is still set to take place in this Middle Eastern country in 2022. We enjoyed the WorldCup 2010 in winter in South Africa, 2014 in winter in Brazil, 2018 will be played in Russian summer again, but then there will be a World Cup be played under the hot desert sun in July 2022, that will be really different! 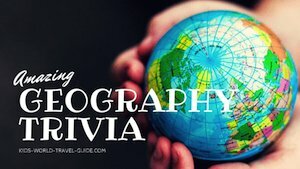 So we checked our clever books to find fascinating facts about the Arab country, which is so much in the news over the last days and have written the most interesting bits here for you. 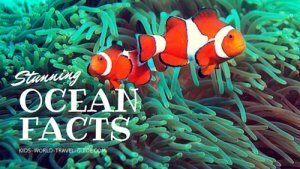 Here are some interesting Qatar Facts which were chosen and researched by kids especially for kids. Literacy: About 97% can read and write. 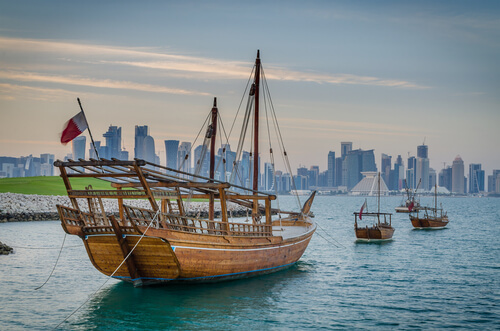 History: Doha, the capital of Qatar, once was a fishing village, where pearl fishers were looking for their fortunes and also a famous centre for horse and camel breeding. 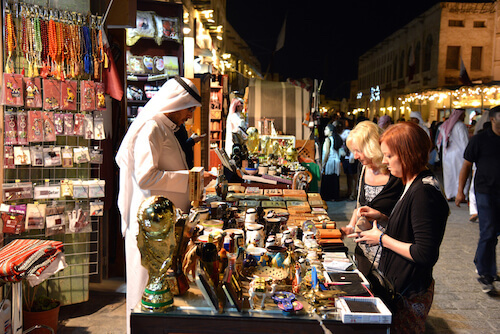 Qatar was a popular stop with traders exploring and shipping goods from India and China. After World War I, Qatar became a British Protectorate in 1916. 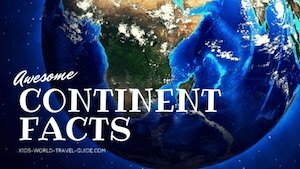 The country only gained independence from British rule in 1971. Government: Absolute Monarchy. The country is ruled by the Al Thani family. Emir of Qatar, Tamim bin Hamad Al Thani, rules the country since 2013. The Sharia law is followed in Qatar. This is a religious law which partly follows the Islam traditions. 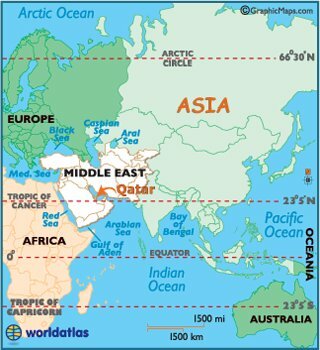 Qatar lies in the Middle East and belongs to the Asian continent. A flight to Doha/Qatar take roughly 7 hours from London/England, more than 12 hours from New York/USA. Qatar can be reached via land from Saudi Arabia or via sea and air. The national airline is Qatar Airways. 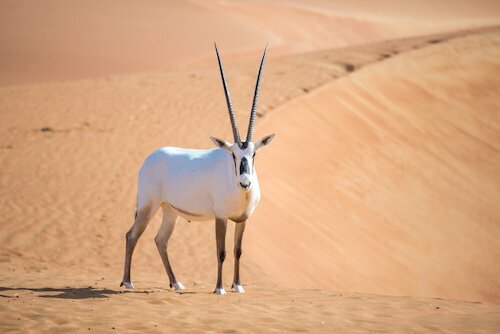 Their logo includes the head of an oryx, the national animal of Qatar. The country lies on a peninsula in the Persian Gulf. Its only land border is with Saudi Arabia. In size it is roughly as big as the US state of Connecticut. Qatar is an emirate, which means it is ruled by the Emir of Qatar. Qatar is a desert country bordering Saudi Arabia on the Arab peninsula. 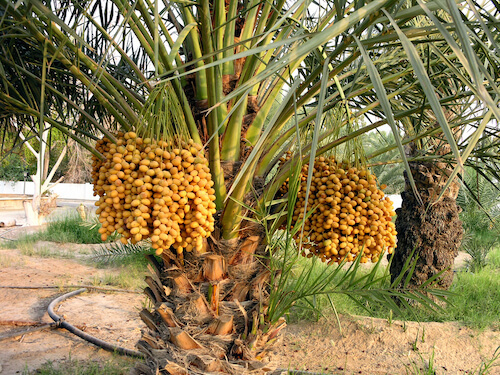 There is only limited natural water supply and thus there is not much agriculture or crop farming possible, only 5% of the lands is used for agriculture such as for date palm plantations. Most food produce must be imported into the country and thus the citizens rely on good relationships with its neighbouring countries. Qatar, however, is a very rich country due to its mineral resources such as oil and natural gas. Qatar has the third largest gas reserves in the world. The highest point of Qatar is located in the south of the country. The peak is called Qurayn Abu Al Bawl, also referred to as Tuwayyir al Hamir, and reaches 103 metres/343 feet hight. Qatar has a dry desert climate and temperatures can easily reach more than 40°C/104°Fin summer. Natural hazards include sand storms, dust storms and haze. 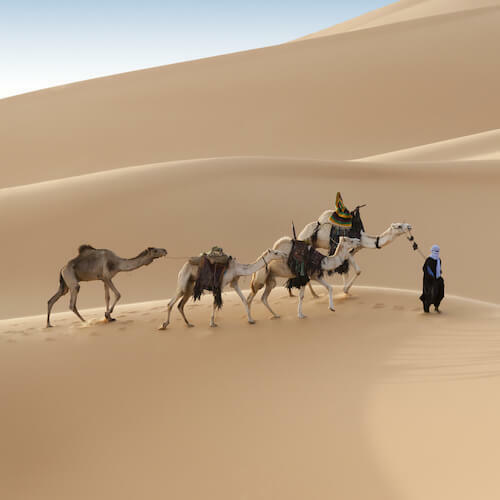 Go on a desert adventure with camels or join a desert safari. 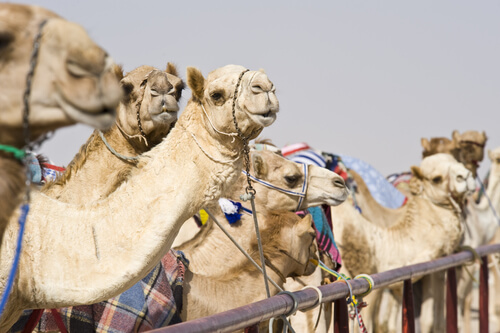 It is also popular to watch a camel race. 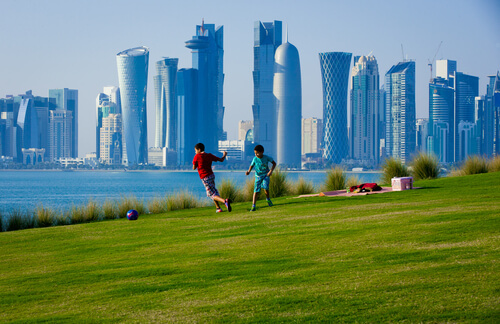 Qatar is country where many foreigners live: Arabs, Pakistani, Indian, Iranian, Nepalis, Filipinos and other expats (workers living in the country only for some years) have made Qatar their home. Only 12% of all people living in Qatar are Qatari! As the expats are mainly men, only about one quarter of the total Qatar population are women! Oil-rich Qatar is the richest country in the world before Luxemburg, although it is one of the smallest countries in the world. In fact, the people in Qatar are the richest in the world and rich Qatari own property around the world. Many famous buildings in London/England such as The Shard and Harrods are owned at least in part by Qatari citizens! About 14% of the Qatari are millionaires (in dollars). The country has been dominated by the Al Thani family for more than 150 years. In 1999, women were allowed to stand for and vote for the first time in municipal elections. The Qatari people are mainly Muslims and the Sharia law is written law in the constitution. This strict law allows for stoning and whipping as legal punishment for misbehaviour such as drinking alcohols and criminal activities such as robbery. The Qatari dress modestly, and this is also asked from tourists. So women need to cover their skin and should not miniskirts, leggins or sleeveless tops and dresses and men should not wear shorts and sleeveless t-shirts. Arabic is the predominant language in Qatar. English is the second most spoken language in the country. The most popular sports in the country are soccer, handball and tennis. Lusail City: A new city called Lusail City will be built in the sandy dunes close to the Northern suburbs of Doha. The name "lusail" comes from a desert flower. This city will be build for 200,000 people who will live and work there and there will be 8.5 km long shopping arcade, golf courses, housing, marinas, a new stadium and even a zoo with giraffes! 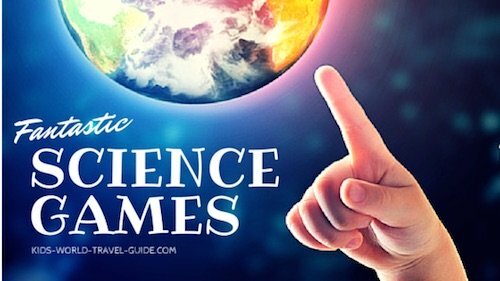 There will be futuristic buildings which are cooled by solar power. New roads and infrastructure: There will be a new causeway be build to link the neighboring Arab state of Bahrain with Qatar. And the German railway company (Deutsche Bahn) are already building a new railway system in the capital Doha which altogether stretches to 320km of railway lines. New Airport and SeaPort: The new international airport in Doha will cost 11 billion US Dollars. A new deepsea port will be added to the Qatar infrastructure too. New Hotels: Many new hotels need to be build to house the many visitors for the Worldcup. There are at least 5,000 more hotel rooms needed. Alcohol is only allowed to be consumed in some five-star hotels and it is planned to allow alcoholic drinks in special 'fan-zones' for the 2022 Worldcup. Qatar being a muslim country, has a different working week than we know it. The work week runs from Sundays to Thursdays, as their shops are usually closed on Fridays and Saturdays. Shops are usually open in the morning until noon and then close for a long lunch break and only open in the late afternoon again. 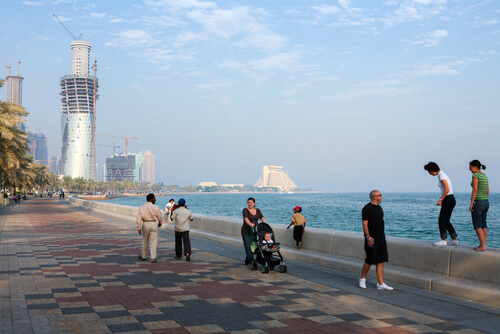 Below on the picture you can see the Corniche Walkway in Doha, where many families go for a stroll on the weekends. There is lots of entertainment for kids in Corniche Park too. The current Gulf Crisis involving Qatar, has led to closed borders between Saudi Arabia and Qatar. This causes many problems for the citizens as the closure brought food transports via lorries from Saudia Arabia to a standstill. Many Qatari also usually went for shopping trips into neighbouring Saudi Arabia, as the prices there are cheaper than in Qatar. This is not possible anymore for the poorer Qatar people. Also materials for the building of Worldcup stadiums and infrastructure projects are imported to a major part from Saudi Arabia. Shortages and delays are forecasted. Qatari citizens who currently live in Saudi Arabia, the UAE and Bahrain, will need to leave these countries and people from these countries as well as from Egypt, Yemen, the Maldives and Libya are expected to leave Qatar. Travel and flight bans are in place since today. Read more about the effects of the gulf crisis here. 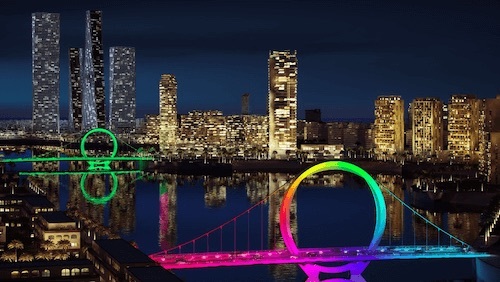 More on Lusail City on their own website with really interesting images of the planned city! 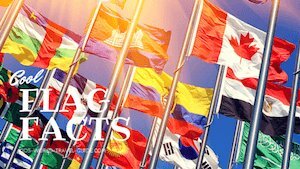 Read more about the richest countries in the world here. Did you like our page? Please help us and spread the word. 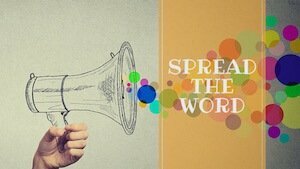 Share the page with your friends, students and colleagues. Thanks!